In the last year or so, I've been hearing more and more about the health benefits of hemp......so I just had to check it out. When I hear the world "hemp", I think of the dimly lit little store in the mall in 1998 that sold incense and hemp and beaded jewelry.....right? PACKED with all kinds of good stuff. Ok--so hemp is amazing.....now what do we do with it? It has a very mild, nutty flavor so really you can add it to just about anything. If you follow me on instagram ( _sheenarae - come find me!) you'll see that I add it to many of my breakfasts. 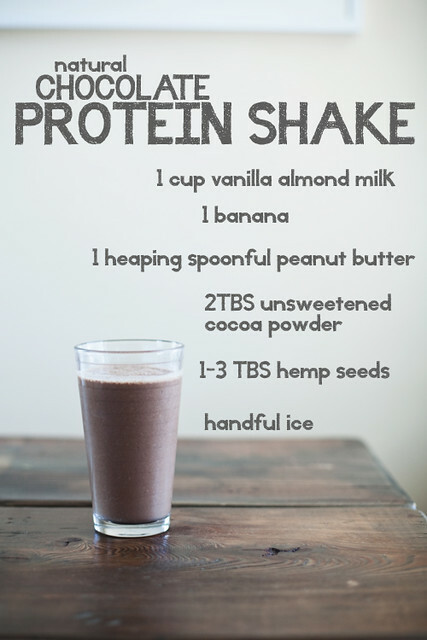 Make your own protein shake! 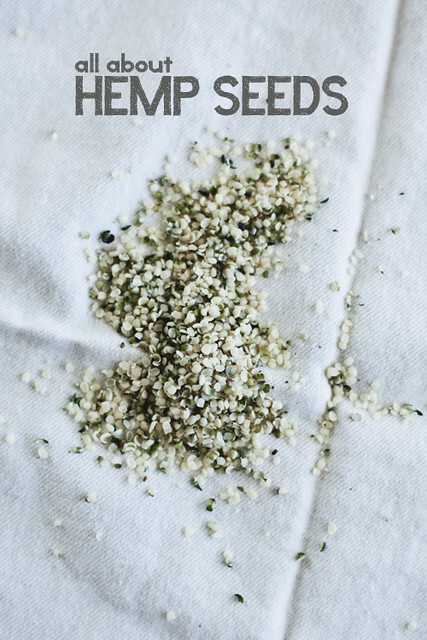 Hemp seeds can be found online or at health food stores--I get mine in the bulk bins at Whole Foods. That looks awesome. Where do you buy your hemp seeds? This post needs a picture of you wearing a hemp necklace circa 1995. I add hemp seeds to my smoothies all the time ▰˘◡˘▰ Great smoothie recipe! I recently bought hemp seeds in the bulk bins and I've added them to smoothies and salads, but cannot stand how crunchy they are. Are you supposed to eat the shell? It makes my food almost inedible. Am I doing something wrong? @amanda look for hulled hemp seeds (without the shell). I'm not exactly sure HOW to use the seeds with the shells still on. If you freeze the banana, than you don't need the ice. Just a tip. I feel like the ice waters the drink down. Ha! I just noticed you mentioned where you buy them in your post. Sorry I missed it, and thanks! I like using the ice - it gives it a milkshake consistency! As a vegetarian, I started using them for extra protein. I add them to cereal and oatmeal, salads and veggies. And they truly taste good! The best diet protein shakes are those that provide a comparable amount of nutrition to a typical healthy meal. I want to increase my stamina and want a great body shape. Is this protein shake good for my health? Please share your reviews here!! Thanks for the great hemp seed smoothie recipe. Can't wait to try it. The best diet protein shakes are those that provide a comparable amount of nutrition to a typical healthy meal. Visit Website. It may seem to be strange that a straight forward seed could counteract sickness, yet that is the energy of unadulterated, crude nourishment. What you eat hugy affects how you feel and the general strength of your body, so it ought not amaze anyone that eating a considerable measure of hemp seed could avert malady. I find an amazing site for the Hemp Toronto, If you need you can visit this site. At the point when most people catch wind of the usage of potential hemp items, they promptly connect it with the use of weed and this items symptom. Actually a hemp delivered item has no THC found in it, making it an unbelievably helpful material that people will discover many focal points with using. I find a very good site for the weed list, You can visit this site. I'm on a keto diet now and I think hemp seed protein shake will be a lovely treat. Thanks for sharing! "......walk away quietly in any direction......"